Click the button below to add the Iron Mirror '007' to your wish list. 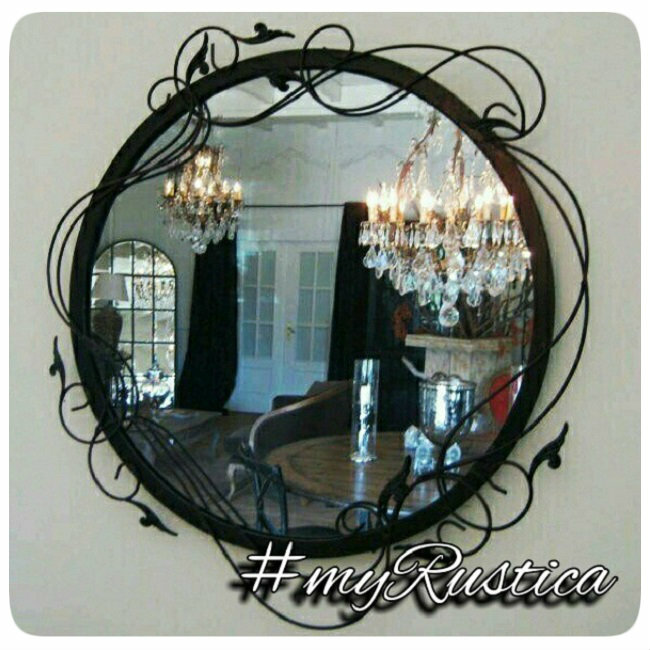 This rectangular Spanish style iron mirror is hand crafted in natural, black or rusted iron. Buy the mirror in standard or custom size. Outside dimensions specified on the product page are for the longer side. The other side is proportional based on the image. The price is for this contemporary iron mirror frame only. Even though we will ship the mirror with glass installed, it is complimentary and we don't offer any replacement insurance for the glass itself. We do pack our mirrors very carefully making sure they arrive in perfect condition.